Saturday, July 21, Santa is once again making his way to Flat12 for the bi-annual release of Pinko, our Russian Imperial Stout. 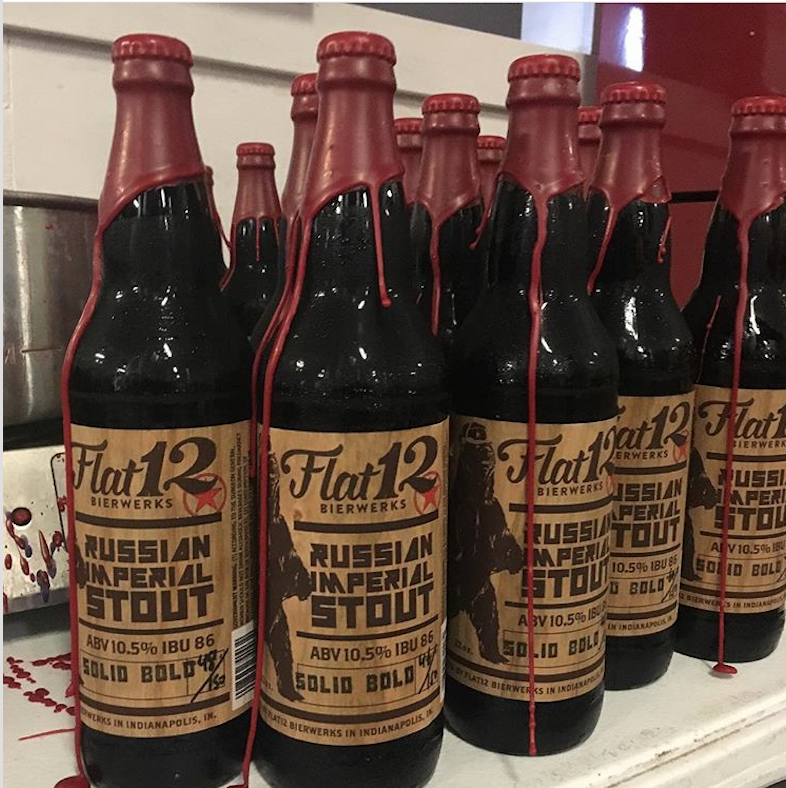 It's mid-summer, the end of July, and in Flat12 tradition, we put a twist on it - we're releasing a variety of specialty and barrel-aged versions of our epic imperial stout. Whether you’ve been naughty or nice, deck yourself out in your ugliest Christmas sweater, sip on a variety of barrel aged and specialty brews, and get your photos with Santa to celebrate the tapping of his stashed away Pinko kegs! This year, the event is FREE to attend with half pints of all varieties on tap for purchase. Guests can also choose to purchase a $20 glassware/sample package that includes a commemorative 10oz Rastal craftmaster bowl glass, (4) three ounce pours of a variety of the 2018 specialty Pinkos and barrel aged line-up, and a complimentary half pint of your choice. Attendees will also have the opportunity to buy limited edition Pinko bombers and an industry first, Pinko in 8oz stubby cans! The event is open to the public with half pints for sale, and a limited amount of Rastal craftmaster bowl glassware sample packages are on sale now. The glassware packages are expected to sell out, so get them early! Only 60 of each bomber variety available. All bombers and cans are first come first served! Hoagies and Hops will be open serving up lunch and dinner all day.